CONGRATULATIONS TO JASMINE MAHAJAN FOR WINNING THE SONY TV BOOGIE WOOGIE COMPETITION NEW YORK FINAL IN OCTOBER 2009. Modern life has become mechanical, mundane and stressful leaving everyone in the pursuit to find and discover some form of fun. Dance introduces to you a facet of yours which you never knew existed. You discover confidence which the mundane worldly routine had buried deep inside you and above all it allows you to have fun..simple exhilarating fun! Culture and spirituality have since long defined India to the rest of the world. If they are described as the flavors of India then dance is its punch. It is one form of art which is considered both sacred and spiritual in India and was used to pay tribute to the Gods. Guiding you into this fascinating world of various Indian dance forms and introducing them to you in their truest authentic form is GUIDING STAR PRODUCTIONS. Situated in North Hills and South Hills area of Pittsburgh,USA, Guiding Star Productions is the endeavor of Varun Mahajan and Sonia Mahajan who wish to try and blossom the incredible South Asian dance culture to the shores outside India. Classical dances in olden days were temple dances and therefore were considered highly sacred. Guiding Star Productions aims to portray this very richness of classical Indian dance and teach these various hues of the Indian dance forms to students keen to learn them in this part of the world. Creating awareness, appreciation and educating people about Indian dances in Pittsburgh is the mission of this incredible dancing couple which they wish to realize through Guiding Star Productions. Being trained Indian dancers themselves, it was natural for Varun and Sonia to choose to establish a name for them in the field of dance. It did not take them much time to understand the vacuum created by the absence of any Kathak dance school teaching this particular Indian classical dance form along with other Indian dance forms in the Pittsburgh area. They took it upon themselves to introduce the beautiful dance form of Kathak and a plethora of other exuberant Indian dance forms to the people of Pittsburgh, thereby leading to the birth of Guiding Star Productions. 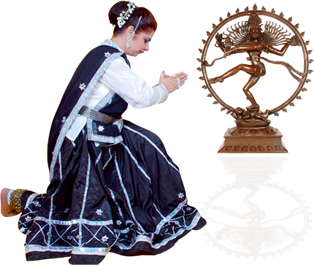 Guiding Star Productions offers to teach an entire gamut of Indian dances to the Pittsburgh area. Notably, it specializes in the Indian classical dance form of Kathak (following the famed Benaras gharana); several Indian folk dance forms like the high energy oozing dances of Punjab including Bhangra and Gidha, and along them the likes of Ghoomar and Kalbelia which showcase the beauty of Rajasthani culture in all its prime ; some semi classical dance forms; lively, fun filled and energetic Bollywood dance numbers as well as fusion dance sequences. This wide array of dance forms makes it possible for everyone to find something suiting their likings and personalities.